Prominent & Leading Wholesale Distributor from New Delhi, we offer bottle shredder for hotels. 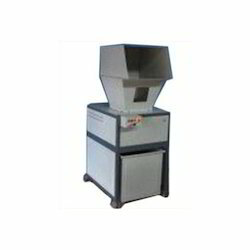 To hold our goodwill in customers' attention, we fabricate and supply a wide variety of Bottle Shredder for Hotels. Suitable for HDPE, PET, and Bottles up to 2 liters limit, the offered flask shredders are extensively esteemed among clients for its impeccable reach. Our jug shredders are correctly planned at vendors fabricating unit utilizing top of the line engineering. Besides, we supply these flask shredders from our end in the wake of leading a strict test to convey an immaculate extent. Looking for Bottle Shredder for Hotels ?